A Innovative Way to Sisha! 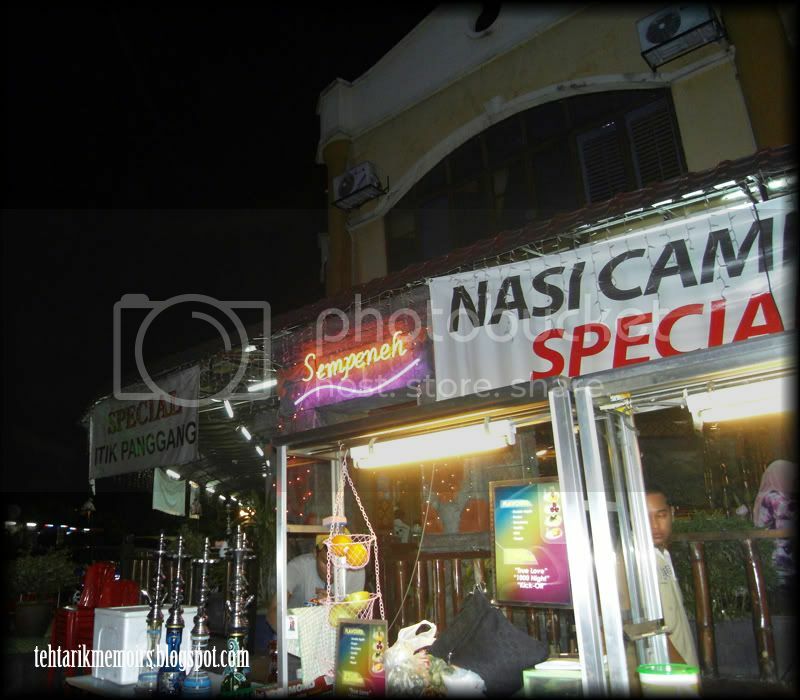 I stumbled upon this place out of the recommendation of Safriz who claims that this place serves a sisha like never seen before either around KL or any place that I have been to, and he was right... Quite honestly this would easily be the premium, mother-of-all-sishas out there in town. 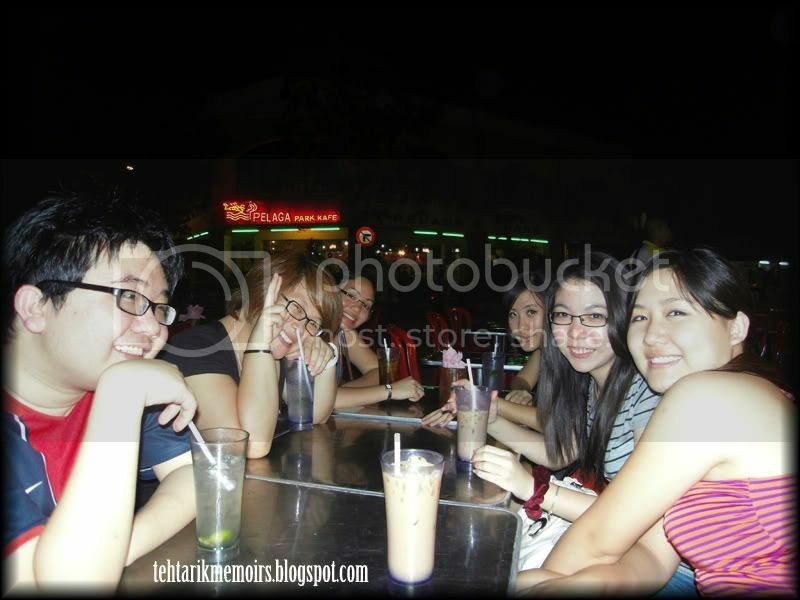 I managed to round up TeamTehTarik to witness this sisha themselves, after a BBQ session celebrating a birthday (further coverage of this can be found in Cheryl's blog). The place itself is in Restoran Sempeneh , somewhere around Section 13 Shah Alam, which is located exactly opposite of the stadium which means you will not miss it. Look out for the sign in neon! The owner and creator of the idea itself is actually a friend of mine. Before anyone would go "AAH, of course he's gonna say thats the best sisha in town, the friends owns it...", let me explain what exactly are you facing here. 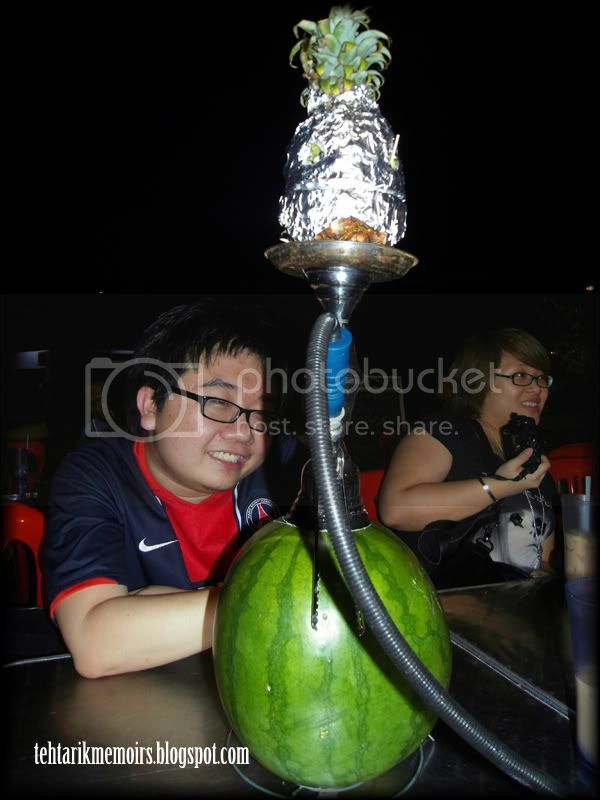 The sisha itself is made completely from a watermelon and a pineapple. Repeat. WATERMELON AND PINEAPPLE! Behold - THE MOTHER OF ALL SISHA! In a nutshell, while we are mostly used to sisha's that uses the water within the bottle, this baby right here uses the natural juices of the watermelon to actually power the sisha, while the casing for the flavor of the sisha is made entirely out of a pineapple (which has a little face that looks really like Terrance and Phillip in South Park!). So, imagine a mixture of flavor between the watermelon and the pineapple, which is topped up by the shop's special brew of tobacco flavoring that combines 4 different sisha flavors. Interesting no? The process to make this masterpiece is not easy. 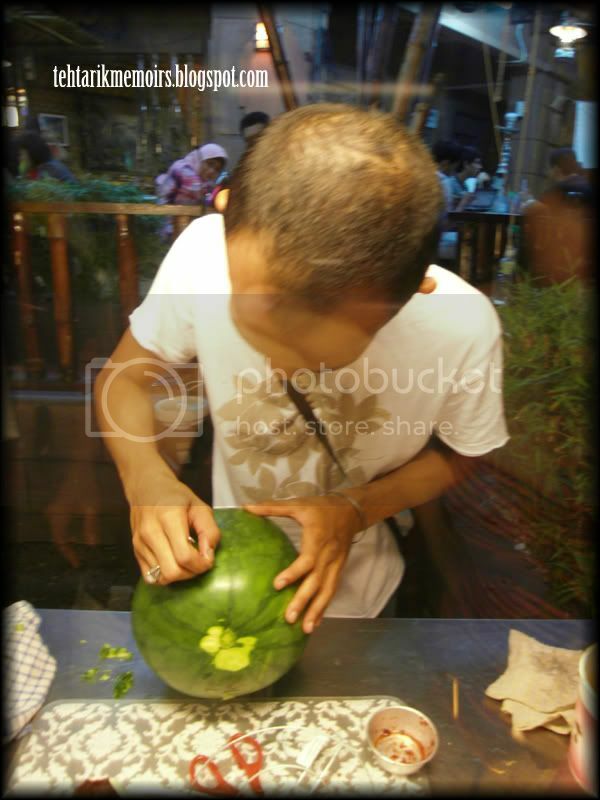 Had a chat with the owner and it takes him 30 minutes or less to actually carve the watermelon, pineapple, shape them accordingly as well as blend the tobacco to its right flavor. The result? A very smooth taste that actually compensate the strong watermelon and pineapple mixture that might overpower the flavoring. It honestly has a perfect blend to the mixture, with none of the flavor actually clashing with each other. 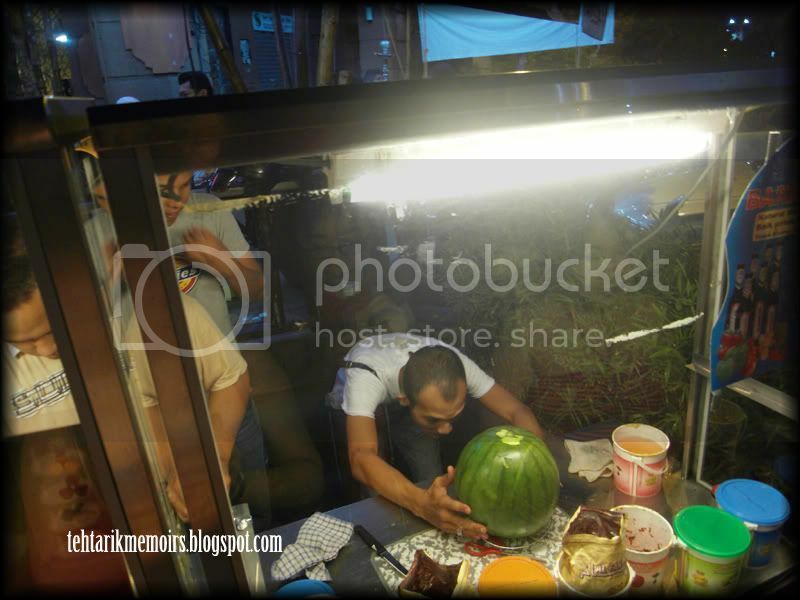 The daunting task of creating the MOA Sisha! For all this, beckons the usual question. How much would it cost? Well it does come with a hefty price tag of RM40 for a set, however this price comes with unlimited charcoal AND UNLIMITED FLAVOR top up, which means you can bring as many friends you want to share the price with. 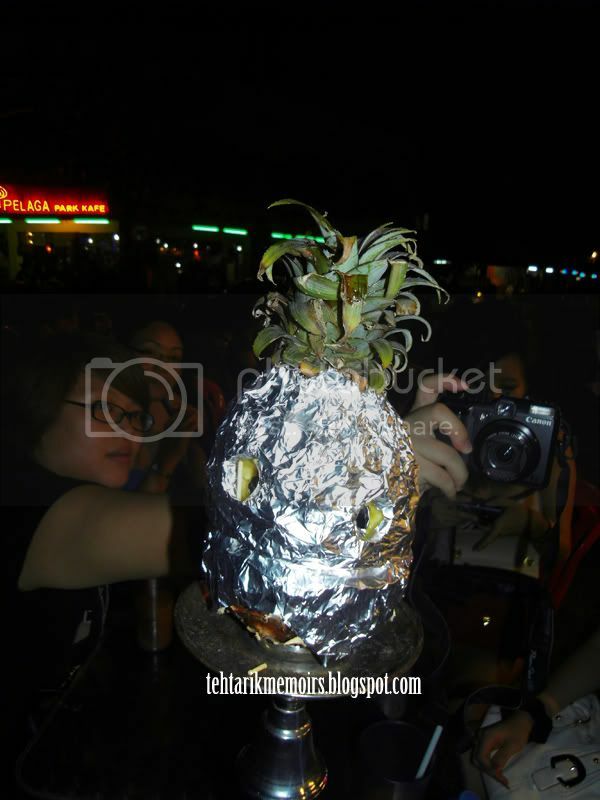 We ended up sharing with so many of us, we paid RM5 bucks each! Not bad for something this unique! 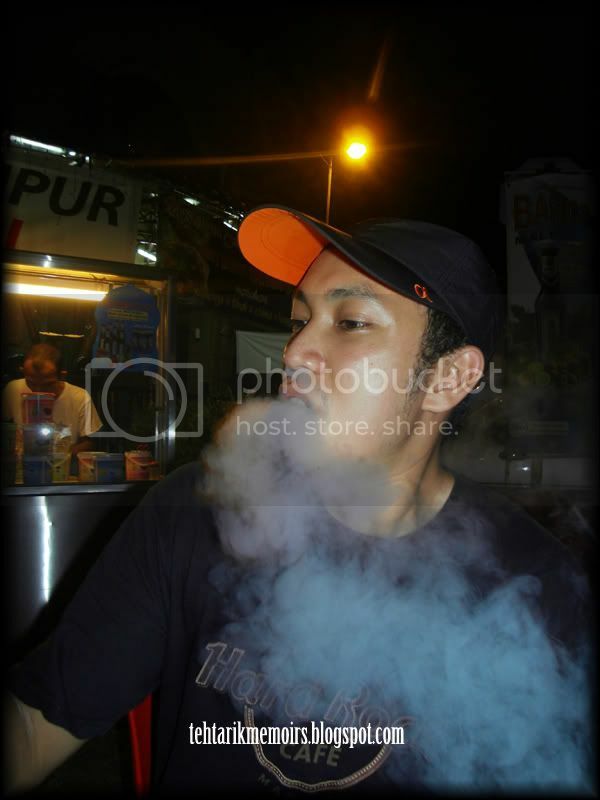 A real must try for all you sisha friends out there, and a special thanks to the owner, Sdr. Adly for allowing me to do a cover on his work. Be sure to contact him for a reservation to the sisha so that you guys won't have to wait to long for him to prepare the thing! Be sure that when you do, tell him that the TehTarikDrinker sent you. With the creator, Sdr. 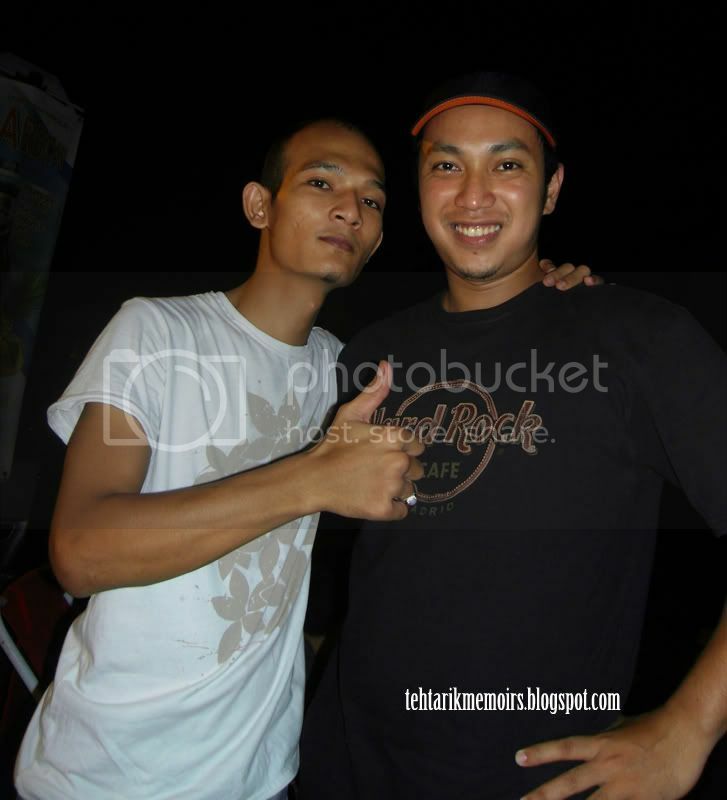 Adly! Nang this post if you like it! Thanks! whoa. impressive, where did he get that idea anyway? thumbs up! 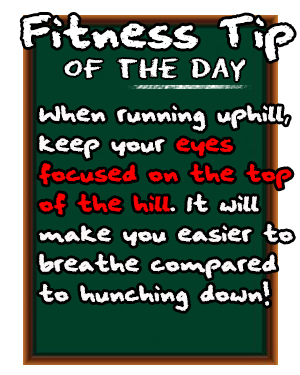 should try it one day! this is cool! hahaha i wanna try this. there's also bubble shisha now, have u heard about it? Man this is awesome! I'm a huge fan of shisha but I've never come across something like this before! @Jianshinlee nope never heard of it. where do they have it? Who Should Lead Pakatan Rakyat?